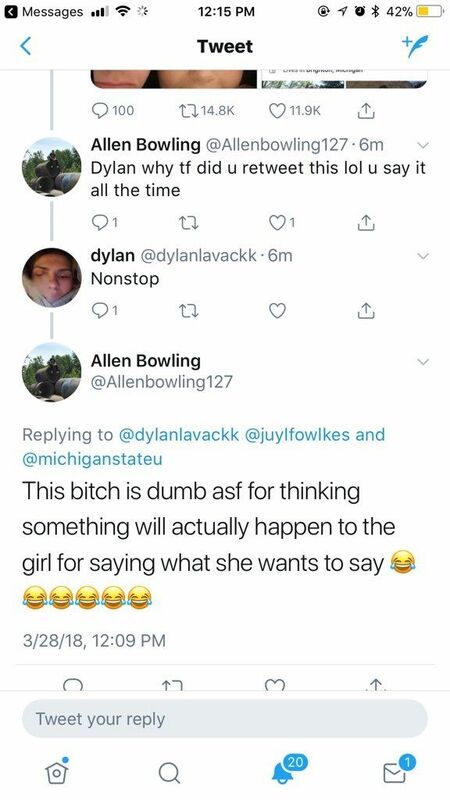 Yesterday afternoon, Michigan State students began rallying for the expulsion of sophomore Jillian Kirk after she was exposed on Twitter for using racist and ableist language on her a social media accounts. In the photos shared on Twitter, Kirk can be seen using the N-word repeatedly on her Snapchat and while out with friends. Additionally, she is pictured joking about how she "used to bully retards." This morning, Kirk issued a statement apologizing for the "inappropriate social media posts" she made. In an email to The Tab, she said she recognized her behavior was "hurtful and disrespectful" and assured what was said in the posts is not reflective of how she feels. "What was said in these posts is not how I feel," she said in the email. "I know I need to learn how to be more inclusive and respectful to diversity of people and diversity of thought"
"I apologize for the inappropriate social media posts I made. Nothing was meant to cause pain to anyone, but I realize what was in those posts is hurtful and disrespectful. 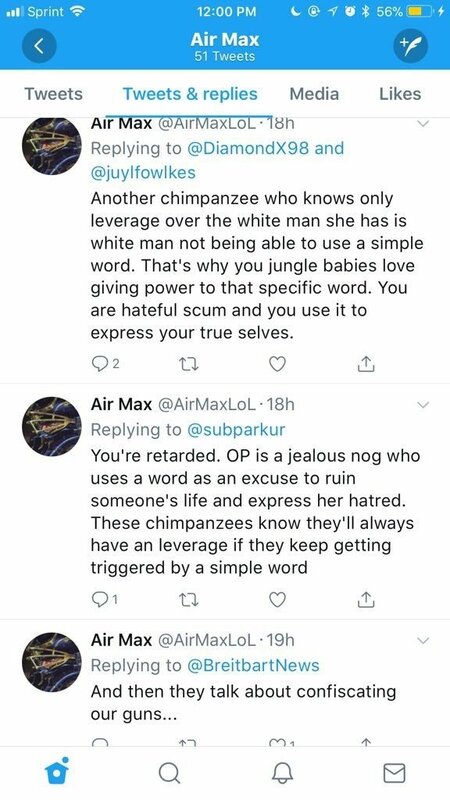 What was said in these posts is not how I feel, but I know I need to learn how to be more inclusive and respectful to diversity of people and diversity of thought. It is my goal to work on my behaviors. The recent events have shown me how insensitive I was. Again, I want to apologize for my actions and to those I have hurt." 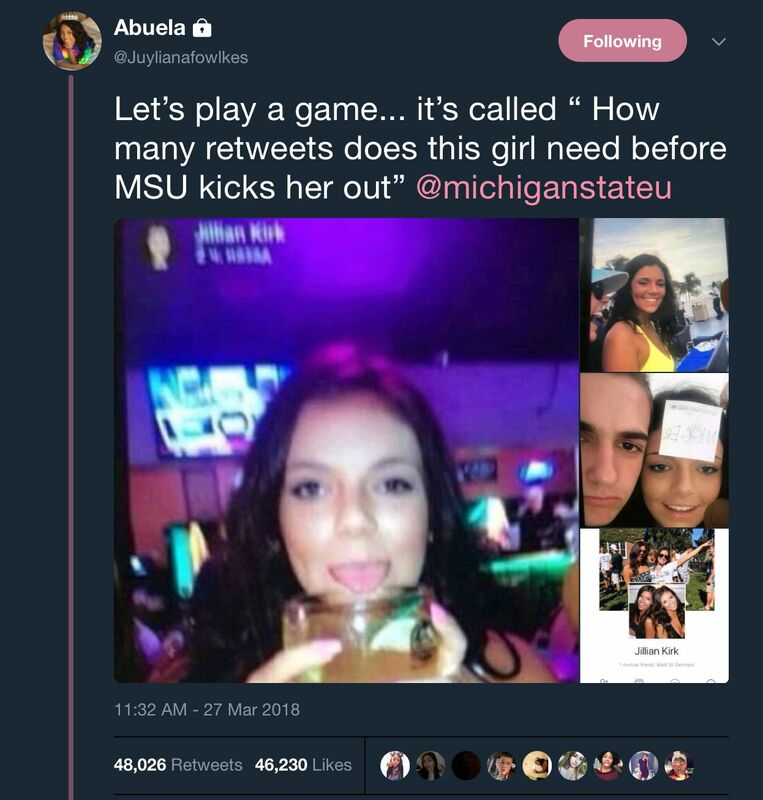 The tweet, originally posted by Miyanna Fowlkes under the twitter username @Juylianafowlkes, has now been retweeted over 48 thousand times, and sparked a campus-wide discussion about the way racism and intolerance are handled at Michigan State. Following the social media backlash Kirk received and the calls for MSU to take action, the university put out a statement addressing the issue and explaining how they plan to handle the situation. In the statement, the university explained they do not "condone racial harassment or bullying," but as a public university they "do not get to control what every member of [their] community says." 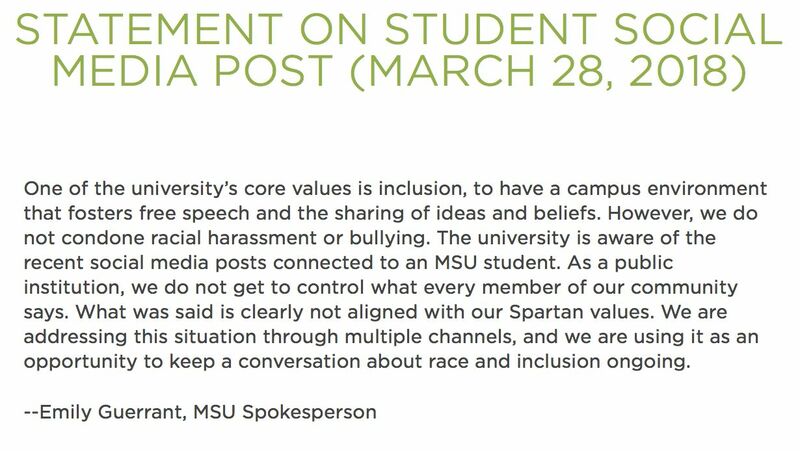 MSU spokesperson Emily Guerrant, stated this incident is being used as an "opportunity to keep a conversation about race and inclusion ongoing," and the university plans to address the situation through "multiple channels." The Tab also spoke with Miyanna Fowlkes, who originally posted the now-viral tweet of Kirk, about the tweet, as well the university and Kirk's response. Fowlkes said that after reading Kirk's statement, "it's clear this girl wasn't raised to respect herself or others." "Actions like this without consequences are unacceptable because people begin to realize nothing will happen to them," said Fowlkes. "I think everyone who said something hateful should receive some [type of] consequence — if not MSU is falling complacent to racism." Fowlkes went on to say, "MSU is legally allowed to kick her out but they chose not to." Fowlkes believes this is an example of Michigan State "not caring about the Black community or people with disabilities." After posting the tweet, Fowlkes began receiving racist messages and threats. Anonymous users called her a "chimpanzee" and "retarded." Tweets from @AirMaxLoL directed at Fowlkes. Tweets from @Allenbowling127 and @dylanlavackk directed at Fowlkes. We will continue to update this story as it unfolds.